When my husband and I decided to pursue a vagabond lifestyle, our expectations were great. 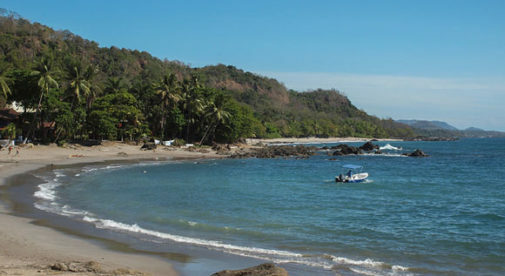 We had originally planned to spend three months in Costa Rica, with the flexibility of staying an entire year. After this first stop on the road, we’d then hop down to Ecuador, then to Chile, and most likely even over to Europe and Asia. We had high hopes of seeing an assortment of Earth’s wonders in a short period of time, and we couldn’t imagine a more fulfilling way to spend a few years. Skip ahead a year and a half, and we find ourselves still gazing with eyes wide open at the land where we began. Costa Rica completely captured this whimsical family, much to our surprise, with its total package. As nature lovers, we experience an ever-present awe for our intense surroundings—the tropical birds, countless waterfalls, incredible beaches, and stunning mountain views…so much diversity in such a small country. 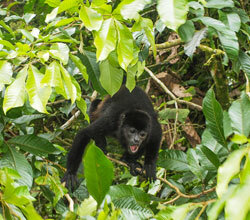 Although Costa Rica is petite, we can take a day’s trip to explore many different environments. Just to name a handful, we can trek through the monkey-laced jungle of Montezuma, wade into the clear waters of the Osa Penninsula, white-water raft down Cartago’s Pacaure River, and hike up the cloud-shrouded Poás Volcano of the Central Valley. We have maintained an unquenchable curiosity for the undisturbed nature around us, and the list of must-see destinations in Costa Rica just seems to multiply with each exciting adventure. While this country is naturally good looking, it has personality as well. The culture we so blindly stepped into all those months ago hit us with so much sweetness and positivity—it was love at first sight. From the monkey-laced jungle of Montezuma to the clear waters of the Osa Penninsula…the diverse natural beauty of Costa Rica is stunning. Despite our grand plans of traveling after a brief stay in Costa Rica, during our initial week here, we decided to stay at least one year. We had just taken a bus ride to the local farmers market, and were taken by the pleasantness of everyone we’d met. As time went on, we became used to the general kindness of the Ticos (what the locals call themselves), and we swiftly learned to appreciate this atmosphere in comparison with the “colder” cultural climate in the United States. We have become a part of the community in our quaint Central Valley town, and the happiness of our new society has rubbed off on us—I can’t remember ever being so content. There are numerous more reasons why we’re happy to remain in Costa Rica, rather than voyage on. We are learning Spanish, making wonderful friends, eating and breathing healthier, and living with a lighter ecological footprint. We are living more luxuriously at a lower cost as well, so we can more comfortably afford additional trips from our Central American base. A three-month excursion to Ecuador is in the works, for example. Instead of roaming without roots, we’ve found a place to call home—a place for us to relax in between trips. We can’t imagine a more inviting location than the one we stumbled into on Day One of our international journey.